The default setting for teenagers is “obnoxious,” and anyone who’s ever worked in fast food knows just how insufferable some adolescents can be when released into the wild without adult supervision. But are pre-adults so unmanageable that they have to be banned from entering a McDonald’s? According to the management of a McD’s in Altoona, PA, the answer is yes. 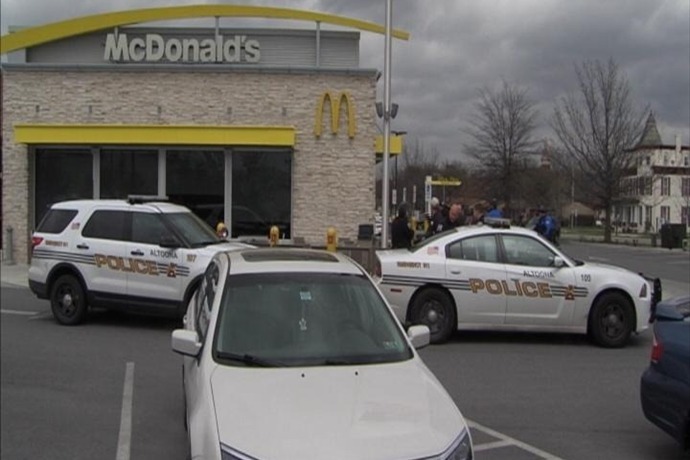 Those recent events referenced in the notice apparently involved dozens of teens showing up at this McDonald’s at the same time and wreaking some degree of havoc. WTAJ-TV reports that four male juveniles were recently charged with defiant trespass, simple assault, harassment and stalking following an incident at the restaurant last week. An Altoona police lieutenant says his department has received numerous complaints from businesses in this section of town, all involving idle teens getting up to no go after school. Last fall, we told you about a Taco Bell in Antioch, CA, that chose to close down for 90 minutes in the afternoons rather than deal with the flood of local students who were gathering at the restaurant to air their personal beefs, often in the form of fisticuffs. But the Altoona police believe such actions may just be a case of kicking the can down the road. “It seems like when we focus on one location and address one specific location, they move onto another area,” explained the lieutenant.